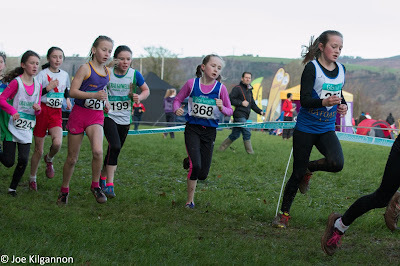 Considering all the previous heavy rain, the underfoot conditions in Dungarvan were better than expected for the the national uneven age juvenile cross country championships last weekend (Sun 6th December). The start of the u 11 girls was frantic but Sophie Quinn threw down the gauntlet from the gun. After leading all the way she had to withstand a late charge form the chasing bunch but nevertheless ran out a convincing winner. 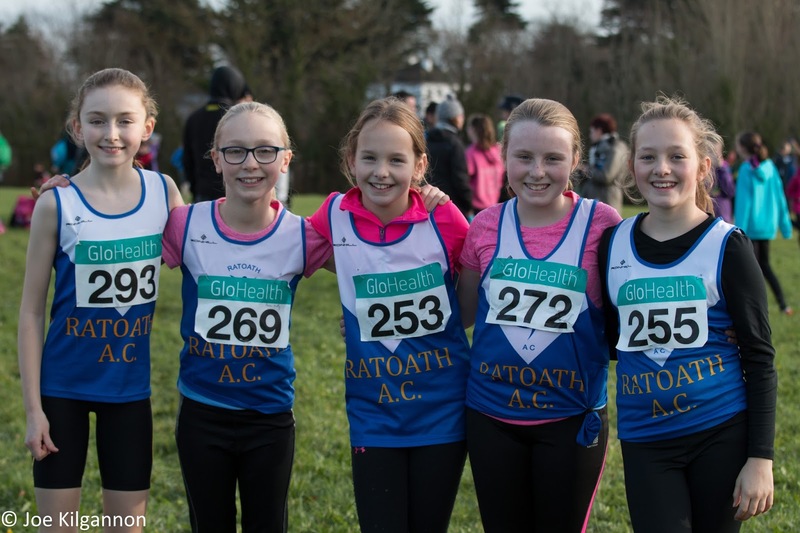 Both Sophie and Laura Kelly (36th) were scoring members of the Meath team that finished third county and they were well supported by Aisling Strarford (107th), Amy Forde (141st) and Lily Nannery (152nd). It was great to have a club team qualifying for a national championships and every one of these talented and tough young girls fought all the way to the finishing line. 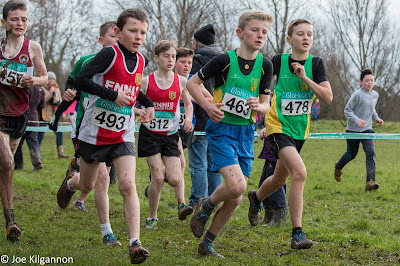 The competition in the boys u 13 was equally tough. 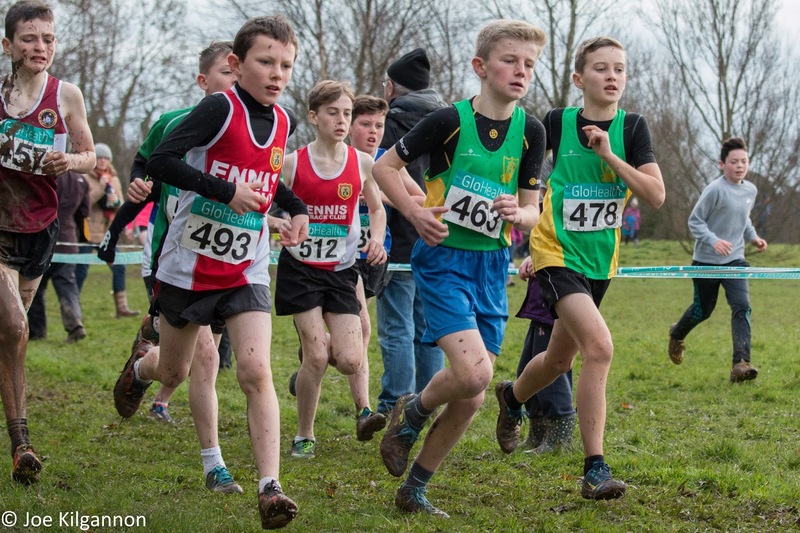 Tom Kilgannon (41st) and Oisin Kelly (76th) were scorers on the Meath team that was just out of the medals in 5th. Both of these athletes will have gained from the experience and will form the cornerstone of a strong club team going forward. 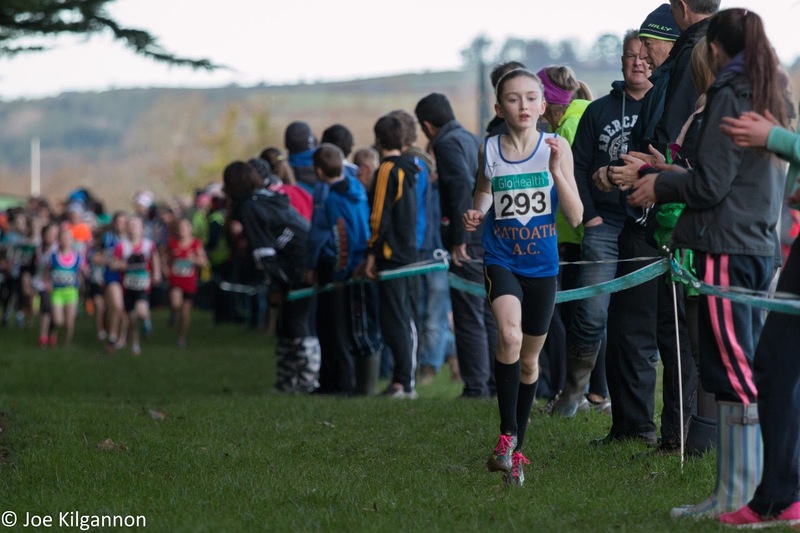 Well done also to Marcus Clarke (Navam a/c) who regularly trains with Tom and Oisin, and finished 29th. 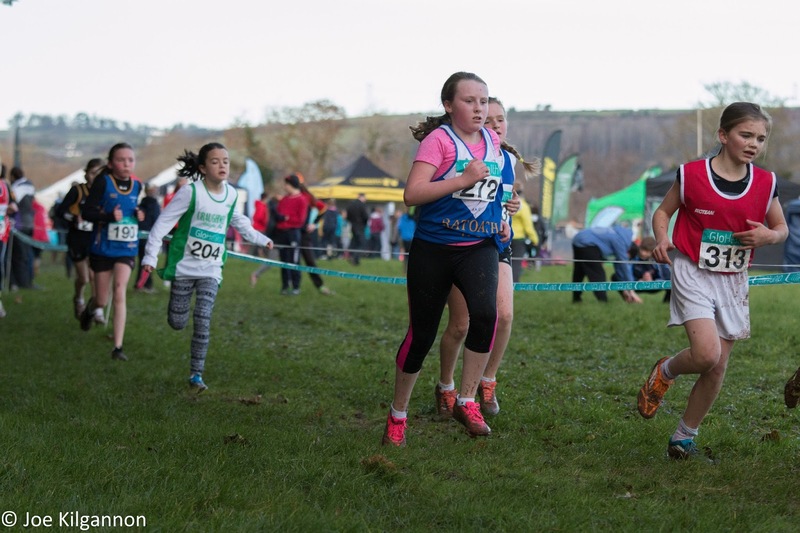 It was also fantastic to see the club well represented by 2 athletes in the girls u 17 with Aine OConnor 41st and Niamh Gannon 84th. and both helped Meath to finish 7th county. Club teams in this age category are rarer than hens teeth so it would be great to find 2 more girls of this standard to make up a club team next season. Thanks to all parents and coaches for making the long journey down to support the athletes.